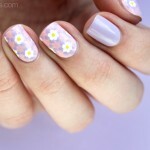 Floral Spring nails with an unusual twist? Yes, please! In 2017 we have so many cool nail art techniques at our disposal. So why stick to the traditional pastel spring manicures? You may have noticed I’m a huge fan of negative space and geometric nail art. However, floral print is the biggest trend of spring 2017. So I decided to include both a traditional floral print and edgy negative space in one nail design. 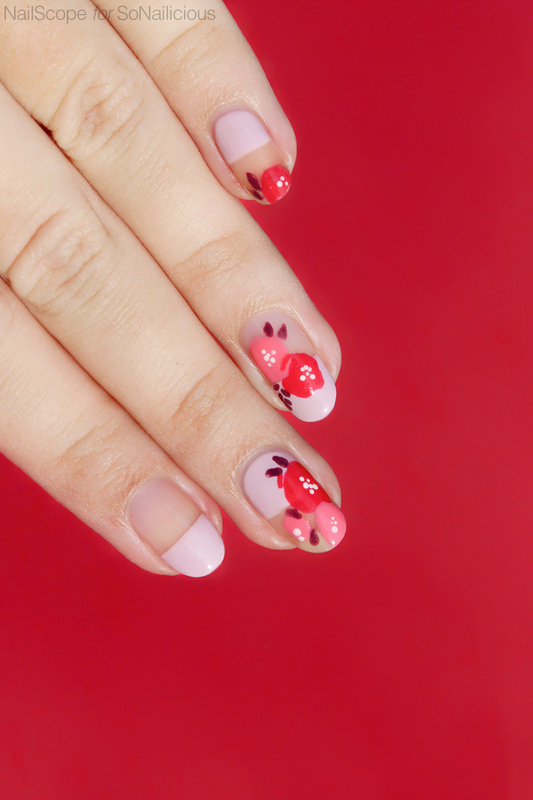 The good news is – both, flowers and negative space are super easy to do, which makes this nail art perfect for beginners. 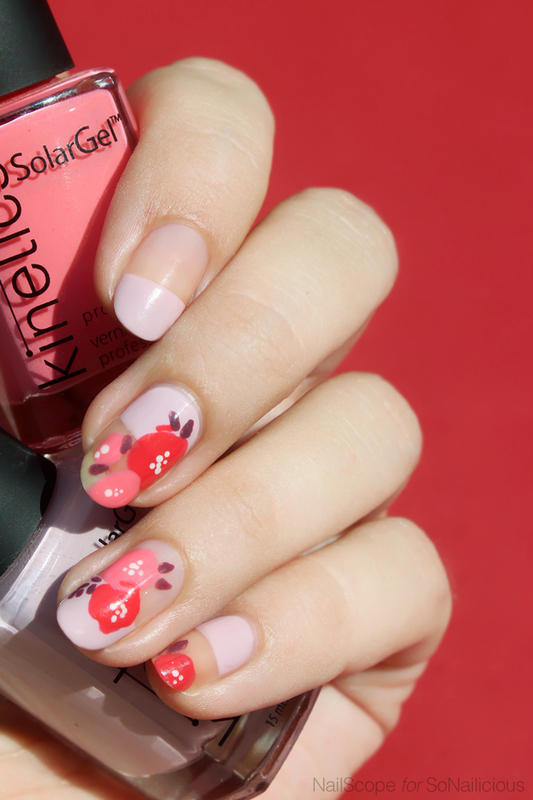 So let’s jump on the Floral bandwagon and try it on our nails! Attach wide stripping tape as pictured. Make sure the tape adheres to the nail properly to ensure clean lines. Now, work one nail at a time. Paint the upper or lower part of nail with light lavender nail polish and carefully remove the tape. 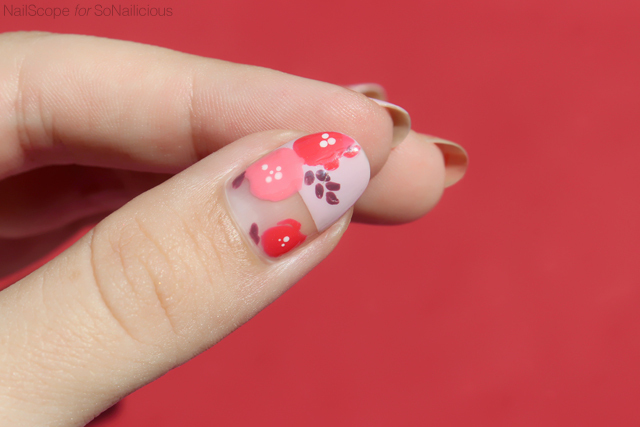 Paint some rounded, uneven patches with red and pink polishes. These will be flower petals. Use detailing brush to draw small leaves around flower shapes with dark purple nail polish. Use dotting tool to add some little dots in the middle of all flowers. Add some more floral details where it’s needed. 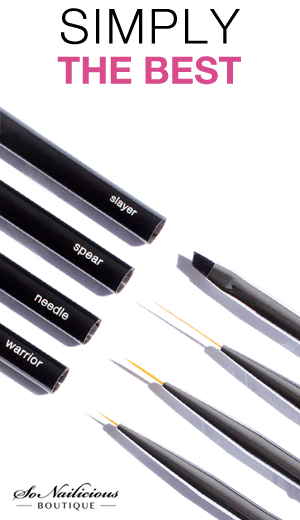 Finish off by applying two layers of a fast drying top coat. Used: Kinetics Give Me Better Price, Kinetics Too Hot To Believe, Kinetics Grand Bazaar, Kinetics Beginnings, Kinetics SolarGel Top Coat and SNB wide striping tape. That’s it! So easy, right? And there are plenty of room of experimentation. 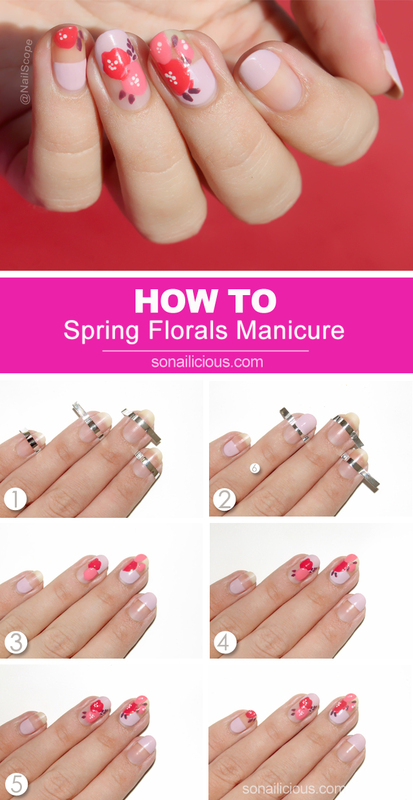 Hope you try this Spring nails tutorial, and if you do, make sure you show us your version. 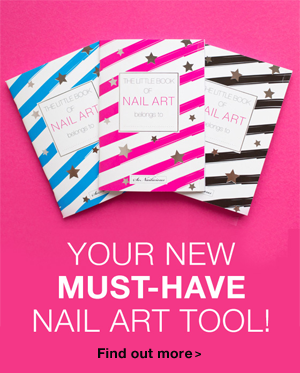 We’d love to see you work – Tweet or Instagram us a photo with the tag #sonailicious. Want to see more cool Spring nail art ideas? We’ve got you covered!